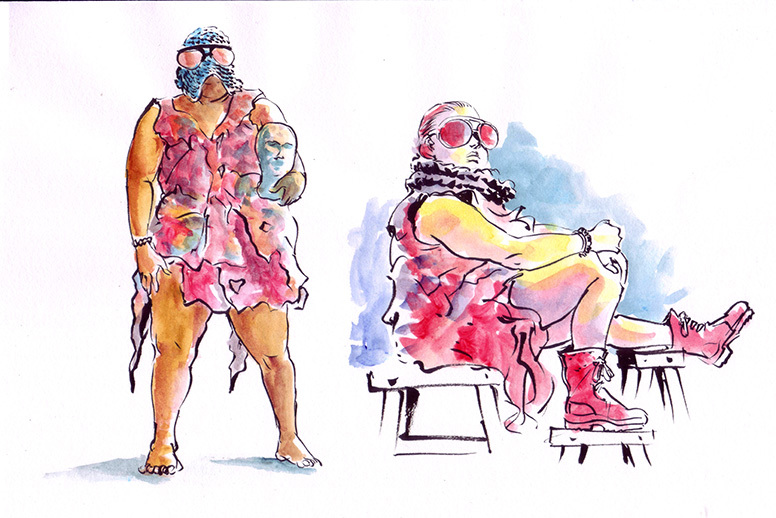 Petalsfallen posed quite interestingly for the sketches especially with the accessories. 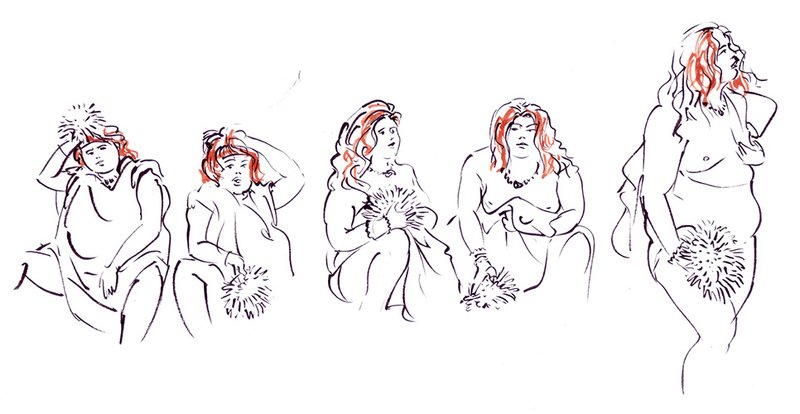 As usual, these were the 2 minutes poses which I enjoyed the most because I could only captured the essence. Challenging fun. 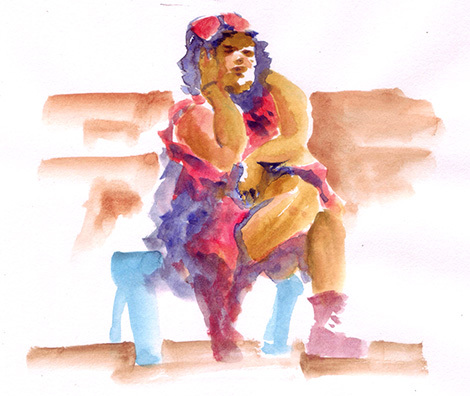 10 minutes pose – full water-colour attempt. These are my favorite of your 2 minute sketches. You captured it, your hands must have been moving so fast. I believe these go beyond a study, or an art room pose. These have character. congratulations!